Minecraft is an incredibly popular sandbox game which is played by around 91 million gamers every month. It has no only revolutionized the genre, but continues to thrill users with constant updates. A few months ago, Minecraft recieved an overhaul of underwater exploration which gives players even more reasons to explore the depths. Now, the team has set its sights on adding other highly-requested features. Have you ever wanted to use a lantern instead of a torch? A crossbow instead of a traditional weapon? Well, you're in luck because this update does just that. On Twitter, the official Minecraft Twitter account said, “Lanterns, shields, crossbows, and an already-famous feline named Jellie. 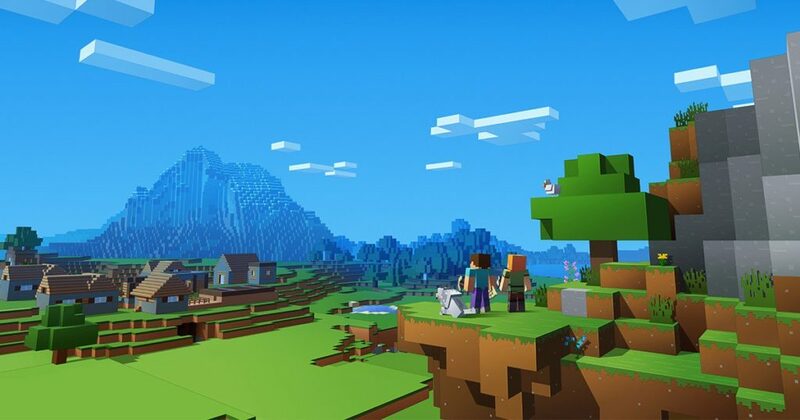 Today's Minecraft update is packed with content and will be rolling out on Xbox One, Windows 10… iOS, Android, and Nintendo Switch today!” Unfortunately, it seems like the PlayStation 4 won't be receiving these benefits due to lack of cross-play. Today, Minecraft is much more than just mining for resources and building structures. The in-game store allows you to not only purchase skins and texture packs, but also adventures developed by community members. The fact that it features cross-play across a variety of platforms from consoles to mobile means that you can play with everyone, whenever you are. Hopefully Minecraft will continue to grow in the coming years. It has not only benefits gamers, but also teachers in schools. There are a lot of academic institutions out there that rely on Minecraft to teach students about topics like geography. The game is coming to Xbox Game Pass in April, too.